What are some of the Different Types of Water Conditioning Systems in Kildeer, Illinois? In its natural form, the vast majority of water contains a variety of different impurities. These impurities typically present themselves in the forms of minerals or bacteria. Everything from calcium, to magnesium, to hydrogen sulfide can inundate your water, reducing its overall quality. Fortunately, there are implements available to remove these impurities from your water, making it purer, and improving its drinkability. These implements are known as water conditioning systems. Looking to learn about the different types of water conditioning and water softening systems in Kildeer, Illinois? This article has you covered. While iron is necessary in the human diet, having iron in your water can be a problem. Not only can iron affect the taste of your water, it can leave stains all over your water appliances. 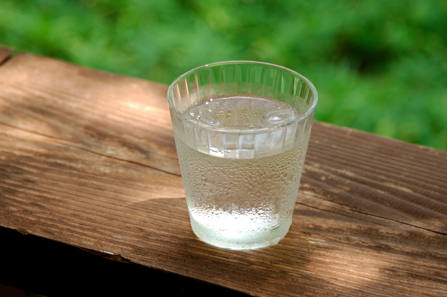 Fortunately, you can do away with iron in your water by using an iron filter. These filters are a great non-chemical option for removing iron and sulfur from your water. Available in a number of different sizes, they can handle water supplies of all different capacities. If you’re looking to have bottled water-quality water at your disposal, you would be well-served by installing a reverse osmosis system. These systems filter water to its most purified form. Though reverse osmosis systems typically won’t handle a full water supply, they work terrifically as supplements to other water conditioning systems. Here in Kildeer, hard water is a big problem. This particular part of the United States contains some of the hardest water the country has to offer. Unfortunately, hard water has a number of downsides. Not only does it clog pipes and cause staining, it does a poor job of cleaning as well. Looking to remove the hard water minerals from your water? If so, you should consider installing a water softener. Water softeners will remove calcium and magnesium from your water, which softens and purifies the water. If you’re dealing with coliform bacteria in your water, it’s wise to have it removed as soon as possible. Such bacteria can cause a number of negative health effects, from diarrhea, to food poisoning, and more. How do you eliminate coliform bacteria? With the use of a chlorine injection system. These systems shoot small amounts of chlorine into a water supply, neutralizing any dissolved impurities contained within it. In addition to removing coliform bacteria, these systems also help to eradicate iron. If you get your water from a well, there’s a good chance that you’ve encountered the dreaded “rotten egg smell.” Caused by hydrogen sulfide, this smell can overwhelm the essence of your water, making it entirely unappetizing. Fortunately, there is a way to eradicate this smell. How do you do this? By utilizing a hydrogen peroxide injection system. These systems pump small amounts of hydrogen peroxide into your water, neutralizing hydrogen sulfide, and making your water much more bearable. Seeking Out Water Conditioning Services in Kildeer? If you are interested in installing a water conditioning system in your home, you should begin by searching for a reputable water conditioning company. Looking for a water softening service in Kildeer, Illinois? If so, the team at Johnson Water Conditioning are the people to call. For decades the business and residents of Kildeer have turned to our family for water softening solutions. We supply and install water conditioning systems of all kinds, from water softeners, to reverse osmosis systems, to injection systems, and more. Our team of water conditioning specialists would be happy to work with you.